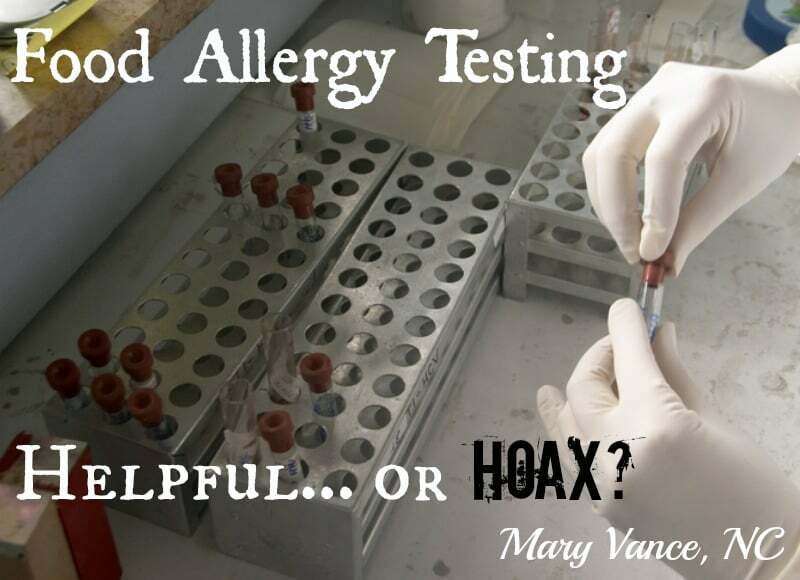 Food Allergy Testing: Helpful or Hoax? Food allergy is getting a lot of buzz lately. Put simply, a food allergy is an allergic response to the protein in a food. When you think food allergy, you may think of eating something that suddenly causes hives or shortness of breath, an anaphylactic response that sends you to the hospital. This type of reaction is a true food allergy called an IgE response and is classified as a hypersensitive severe immune reaction that may affect the respiratory tract or circulatory system. These food allergies are very serious, and you probably know which foods to avoid if this is you, as onset usually occurs during early childhood. The most common IgE allergies are nuts and shellfish. According to the Food Allergy & Anaphylaxis Network, only about 4% of the United States population has a true food allergy. There are actually several different types of non-allergic but food intolerant reactions that can occur, and they can be pronounced and serious, causing inflammation and sometimes debilitating symptoms. Celiac disease is not a food allergy, but an autoimmune disease characterized by a severe reaction to wheat and gluten proteins. People with celiac may also experience cross-reactivity to foods such as coffee, chocolate, corn, dairy, and other grains. Non-celiac gluten intolerance is an intolerance to wheat and gluten proteins that is not autoimmune, like celiac, but still causes significant harm and reactive symptoms. Lactose intolerance: some people are allergic to the proteins (casein) in milk. But up to two-thirds of the global population can’t properly digest lactose, the sugar in milk. This is not an allergy, but it’s a real intolerance, and it affects billions of people. FODMAP intolerance. A growing number of people with conditions like SIBO and IBS (which affect 10 to 15 percent of the population worldwide—hundreds of millions of people) are intolerant of certain carbohydrates, called FODMAPs, found in common and seemingly random carbohydrates like onions, garlic, and higher fructose fruits. The main and final type of food intolerance–and what I’ll be focusing on here–is an IgG reaction, referring to the IgG antibody, the largest circulating antibody in your system. This food intolerance is often used interchangeably with food allergy, but it’s not a true allergy. The IgG reaction symptoms may be delayed up to 72 hours (whereas true IgE reactions happen immediately) and is technically a food intolerance. What happens in this situation is that the IgG antibody marks certain food particles as antigens, and when you eat these foods, the body mounts an inflammatory immune response and attack. There is quite a bit of confusion about food allergy, food intolerance, and food sensitivity. For the purposes of this article, I am referring to IgG food sensitivity and intolerance as food allergy. Some estimates say that up 80 percent of people have IgG food allergies. Many are not aware, assuming their digestive symptoms are just a part of being a human. Many practitioners use food allergy testing in their practices to help determine which foods are problematic. By avoiding those foods, one may lose weight, heal leaky gut syndrome, improve IBS or Crohn’s, heal eczema, and just plain feel better, because the allergy response creates inflammation that can lead to weight gain, leaky gut, and a host of other problems. But is food allergy testing accurate? Is Food Allergy Testing Helpful? There are several different types of food allergy testing. The ones you’ll most frequently hear about are ALCAT and ELISA testing, both by blood. ALCAT needs a serum blood draw, but ELISA can be done by fingerprick bloodspot testing. The blood tests detect and measure the amount of allergen-specific antibodies in your blood, and both test for IgG food allergies. When you come into contact with an allergy trigger, known as an allergen, your body makes antibodies against it. The ALCAT Test (Antigen Leukocyte Cellular Antibody Test ) identifies cellular reactions to over 350 foods, chemicals and herbs and is thought to be the most accurate. ELISA is an abbreviation for enzyme-linked immunosorbent assay and is thought to be less accurate. 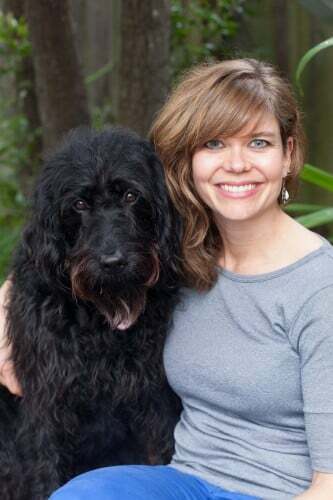 I’ve previously used ELISA testing in my practice, because as a nutritionist, I cannot order serum blood draws, and I do have access to ELISA bloodspot finger prick testing (though I believe you can now order ALCAT testing on directlabs.com). It is my opinion that the ELISA tests may not be very accurate. I have seen many come back completely clean when the person had a known adverse reaction to a food. But this is where it gets confusing: even if you do not produce allergy-specific antibodies to a food, you may still experience reactions, such as bloating, when you eat certain foods. This is why I don’t believe food allergy testing to be a good choice in most cases. In my experience, one may not tolerate a food because the person cannot properly digest the food due to carbohydrate/FODMAP intolerance that accompanies SIBO, IBS, or bacterial issues in the gut, for example. And that’s where the situation gets muddy: the food intolerance may not show up on a test because there is no reaction to the protein, but the person may still experience digestive symptoms with certain foods. 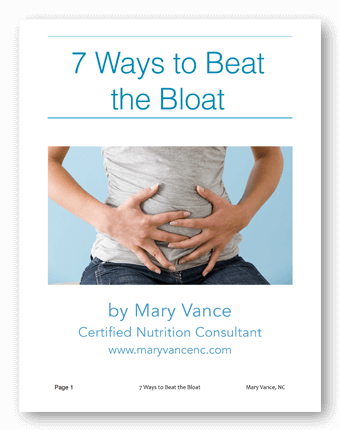 In the case of SIBO, for example, bacteria in the small intestine (where they don’t belong) ferment carbohydrates when you eat them, and that results in constipation, diarrhea, bloating, belching, or heartburn. So, many people think that have allergies to the foods that cause these reactions when in reality, they have bacterial overgrowths or dysbiotic bacteria that ferment the starches they eat and produce unpleasant reactions. The ALCAT food allergy test gives you a report of all the foods you react to: severe, moderate and mild category. For many, sometimes hundreds of foods can show up across these categories, and that can be very overwhelming. It’s recommended to avoid certain foods in rotation and for specific amounts of time, which, again, can be overwhelming. In my experience, my clients have stressed so much about sticking to their rotation and exclusion plan that they become afraid to eat, which is a damaging place to be mentally. I typically have them avoid the foods in the severe category only. All that said, I have seen some positive outcomes from avoiding foods on food allergy testing– in the severe category typically. Avoiding these foods for at least six months allows the gut to heal and seems to reduce inflammation, which can heal chronic conditions. I’ve also seen incredible reversal of eczema and autoimmune conditions. Be aware also that foods that show up mean you may be reacting to those foods right now due to leaky gut. Once your gut heals, you may be able to tolerate those foods again. So don’t get discouraged thinking you’ll have to avoid 100 foods for the rest of your life. The test results are letting you know what you’re reacting to currently. Some of these reactions may be inborn allergies, and some may be a result of leaky gut. So where does that leave us? Most often, after analyzing a client’s food journals and his or her symptomology, I can determine which foods I think are problematic, and I’ll recommend a food allergy elimination diet. I often think that is more accurate (and a lot cheaper) than food allergy testing— simply avoiding the foods you think may be problematic, then reintroducing them one at a time after a month or so. 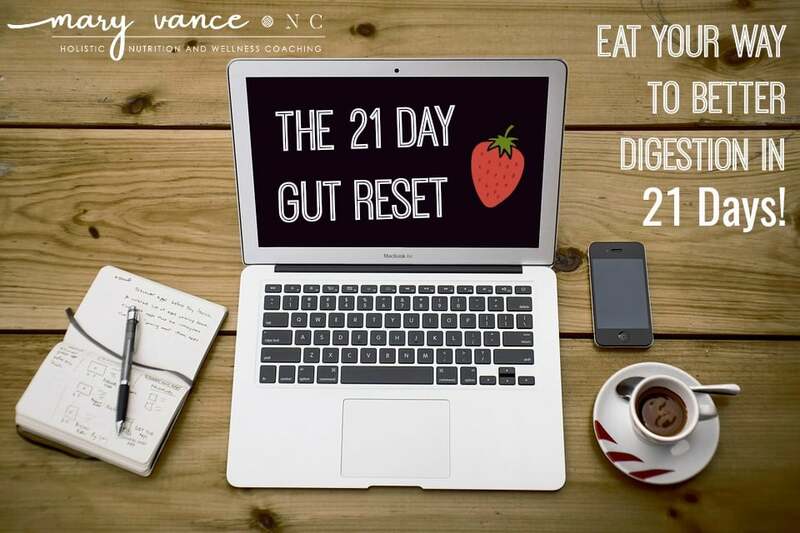 If you react to a certain food, you may have an intolerance or you may not digest that food well, so avoid it for six months, heal the gut, and try again. The most common culprits are gluten, dairy, eggs, soy, corn, nuts, and nightshades. Long story short: I don’t recommend food allergy testing as a first step. It can be overwhelming and overly exclusionary to avoid scads of foods (those in the moderate and mild categories typically), not to mention it stresses people out. I’ll often suggest trying the food allergy elimination diet route initially, and if symptoms and problems persist, I then recommend testing. I use this lab (the link gets you 15 percent off the kit, which is an easy fingerprick test that you can do at home) and have the person avoid the foods in the moderate and severe category for 3-6 months. The above scenario is when food allergy testing is effective: When a person has an allergy to a random food (like onions or kale) that she or he consumes regularly. You’ll probably never figure that out on an allergy elimination diet. Or the person has tried allergy elimination diets and symptoms do not improve. Eliminating the foods that show up (that are often random foods the person consumes regularly) reduces inflammation, symptoms subside, and the person feels better, but it would be impossible to know what without testing. As with everything in holistic healing, I take every case into consideration separately before making recommendations. Want to try at-home food allergy testing? I use this lab, and you can order a kit for 96 foods yourself. I’d like to hear from you. Have you had food allergy testing? What was your experience? Thanks for the article! I have also found that food allergy testing yields mixed results. My family has utilized the MSA (Meridian Stress Assessment) and has found it to be very accurate. How long do you go without a food to see if it is causing inflammation? Would you mind elaborating on this a bit? Thank you so very much for this interesting article. What am I supposed to do then? I already have hayfever, now I appear to have OAS because the root of my mouth itches around my mouth my skin turned dark now after applying moisture to the area it flakes back up. The elimination diet sounds ok but Im chasing two babies Im a stay at home mom I feel overwhelmed, Im always blowing my nose, ears are clogged, sometimes my eyes look weird I just want to be normal again and lose weight (lol). I had the skin test, but couldn’t get treatment because I was breastfeeding. Food sensitivity, food intolerance, to test or not to test OMG I’m too stressed. Star, this actually sounds like histamine intolerance to me. You may want to look into a low histamine diet. If you feel stressed and unsure about the best direction, I definitely recommend working with a practitioner! It’s too confusing to filter through all the info and go it alone. As I mention in the article, ALCAT testing can certainly be useful, but it always depends on the case and severity of symptoms. Ruth, I typically recommend an allergy elimination diet for 30 days: eliminate suspected food(s) for 30 days, then reintroduce them one at a time, waiting 72 hours between foods, to see if there is reaction. In my experience, hair testing is the least accurate method of testing. And impurities and/or coloring from shampoos and products can skew results. Totally agree that ELISA isn’t accurate! I use MRT (an updated and more accurate version of ALCAT) and help clients design an individualized diet based on their safe foods. 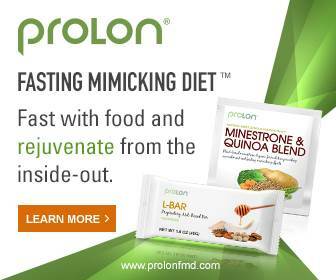 I find this works so much better because at first they’re only eating safe foods (rather than eating untested foods). My 11 yr old son had an ALCAT test last June 2013. We did the elimination diet of 30 days of all Moderate Intolerances, he didn’t have any Severe ones. Included was gluten, wheat, barley, Malt, and rye was a mild Intolerance. We re-introduced an item every week, until he had no reactions. He had been gluten free for 4 months, and when given to him no reactions, so we were told he can have it 1X every 4 days, which we have done 1X every 4-6 days for the last 8 months, as well as all his other mild intolerances. He never has an issue with any of these foods, and didn’t prior either. The only thing he says, is he did have more gas before. I am wondering if it would be safe to let him eat these mild intolerances more often than 1X every 4 days. Of course, we would do this slowly to monitor for any symptoms. What is your take on this? I noticed you don’t even have your clients eliminate the mild ones anyways. He had taken this test as a requirement for a program called Brain Balance, that we did for him to help with his ADHD. We have not noticed any of these foods causing him behavior or physical symptoms. He had some mild reactions to some of the items, but we took it out again for about a month, and when re-introduced no problem. These few items, we now limit how much he eats of them. We did work with a nutritionist, and her response was to stay on this rotation diet of all the milds for LIFE. It is impossible for my ADHD son to remember all this let alone how often he had them. At home we use a dry erase board, and write them down, but this is getting very tiresome, and I worry about the lack of fresh fruit and nuts he gets in his diet due to so many intolerances. Please help, I’d appreciate your advice. Thanks for sharing all these helpful piece of information with us…. I went to my doctor just to find out what seasonal allergens that I have and ended up having some food sensitivities as well including gluten, bananas, eggs, and milk. I eat these things quite often and don’t have any problems with them but I was reading an article about gluten sensitivity and it talked about the link between gluten sensitivity and schizophrenia! Now I am totally freaked out that I might develop schizophrenia even though I have none of the risk factors other than a supposed gluten sensitivity. I can’t tell if the research that I’ve seen on the subject is legit or not so I was hoping you could help! Thanks. Gluten sensitivity won’t cause schizophrenia out of the blue, especially if you don’t have a genetic component. It is linked to schizophrenia mostly in the case of celiac, but removing gluten can improve mental illness. Me and my partner both had the IGg test done and the results came back saying we both had high intolerances to cows milk, cows eggs = yolk and white, yoghurt & Whey. Basically all the things that I eat on a daily basis. We have both cut these things from our diet completely (which has been very painful to do considering we love these items ) and its now been over 4 weeks and we don’t feel any different at all! Other than deprived of our favourite things. I have looked this test up and could it be that these items showed up as us having such a high intolerance to them because we would have had them in our system from consuming them so regularly? We haven’t been giving any other information other than to cut them out – not even how long for – surely not permanently. If you can offer any advise we would really appreciate it. While doing the 30 day AIP diet, should the person still take the regular medication? My husband is on prednisone, losartan and imuran. He has not been tested on any food intolerances, but I have read all over about gluten and diary being so influential on the imunne system. You should talk to your doctor or prescribing physician about medication questions. Thanks Mary! Most conventional doctors don’t believe in the healing powers of food or the healing power of avoiding certainf foods. My husband’s rheumatologist laughed in his face when he told him about avoiding gluten and dairy. The last time he asked him about doing a diet and easing on the med, he pretty much said it was up to him. The question is, how would he know he is doing good if he is still on the medication? His flares only happen maybe once a month or so, but they are a matter of hours (usually before bed). I’m so confused! I see that the AIP diet works for some, but I wonder if they are totally off their meds while on the diet or continue with them. I so appreciate you responding! this is so overwhelming! I understand what you mean. I can’t by law give you any advice about taking medications. Start the diet, and when he feels better overall, I’d say talk to your dr about decreasing or coming off meds. The issue with doing an elimination diet is where do you begin? I tried a detox elimination diet that excluded many of the common allergens, but included carrots and lemons. Lemons are quite uncommon for intolerances or allergies. I was not feeling better. I ended up taking the Alcat test and lemons and carrots were on my extreme list. As lemon and carrots are both in so many prepared foods, I have accident,y eaten them and have gotten extremely ill. After going back to the food source I found one of those items listed. I’m noting this because there is no way I would have discovered if I had the elimination diet. I am not affiliated with the Alcat test in any way, but I am a huge fan and believer and it was worth every penny. Yes, as I mention in the article, start by eliminating the most allergenic foods (dairy, wheat, eggs, soy, etc), and if nothing changes, ALCAT is the next step. Prior to having the alcat test done my practitioner called to make sure that the medications I am on will not interfere with the results. Alcat told the practitioner that I needed to wait 4 hours after taking my meds before having a lab draw done. I followed their recommendation and was very shocked when I had nothing severe show up in my results. I have psyoratic arthritis and am on Otezla. My practitioner called alcat to discuss my disappointment in the results. Alcat admitted that unfortunately they do not test against any medications and do not know whether or not results will be skewed. This information is not in the fine print or anyplace else in their paperwork. I would have thought twice about taking this test and spending over $450 had I known that information in advance. If you’re on any medications, you may want to think twice about having this very expensive test done. Good to know, thanks for the comment! Would love to know what it is. Thanks. It’s a kit that comes to your house. Very easy. The link gets you 10 percent off; just hit the ‘go to the store’ button and you’ll see the food allergy kit. This is an excellent article! I developed severe food intolerance around my late puberty and had a very hard time eating. After a few years, I developed gastritis with flat ulcerations, constipation and extremely slow digestion. There were days I’d eat something small for breakfast, such as just one apple, and would only be able to eat again at dinner time. It was as if my peristalsis slowed down dramatically and/or my guts stopped producing the acids and enzymes necessary for digestion of any food. Long story short, I tried many elimination diets (gluten, grains, dairy, etc…) and nothing worked. My doctor prescribed acid reducer (Nexium) after endoscopy reveals the small flat stomach ulcerations, but that slowed down my digestion even more! IgE tests came back all negative. Long story-short, I begin suspecting the cause was something I ate regularly (as you describe in your last paragraph), such as an everyday spice. That was when, about 3-4 years later, I discovered the ALCAT test online and decided to self-pay for it. Boom: GARLIC in the severe category! ALAS, the bizarre thing is my mother also has garlic intolerance (self diagnosed though experience) but I originally ruled this one out because the onset is so delayed (and cumulative) that I never suspected it. Today, I’m on garlic free diet for most time and when I do eat garlic accidentally, or in small quantities while traveling (sauces, condiments, etc…) I may not get any reaction at all. Greasy foods containing garlic, such as fried calamari are the most dangerous. Still, it may take repeat consecutive offenses for the symptoms to come back. I hope this story illustrates how difficult it may be to figure out what is the food causing the reaction and how life after the discovery can be good after all 😀 Thank you Mary!